Hasheem Thabeet of the Oklahoma City Thunder (shown below) stands 7′ 3″ tall and is currently the tallest player in the NBA (according to our sources). But when you look at Hasheem in the scale of our Solar System, he’s puny. BuzzFeed takes a look at the tallest stuff in our Solar System, beginning with the Great Pyramid of Giza and quickly moving to the towering mountains found in places other than Earth. 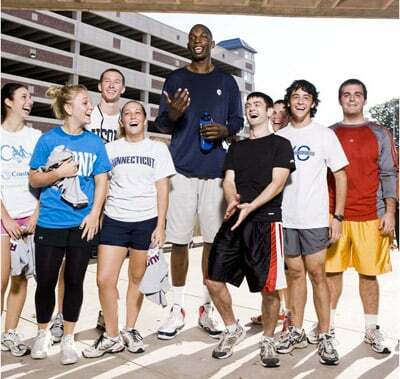 Image courtesy of NBA Players Standing Next to Normal People.